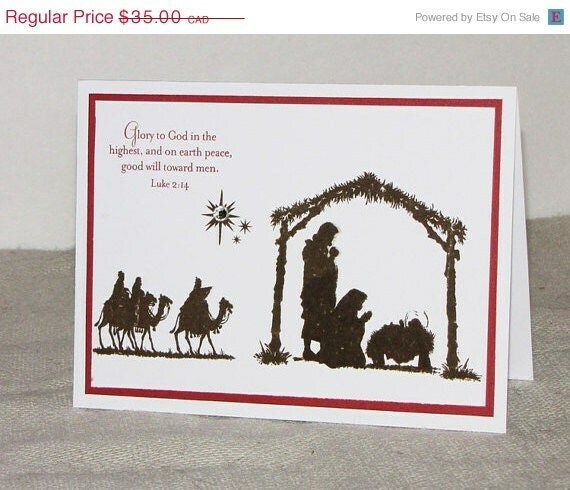 Red ,White and Brown Christmas Nativity Greeting Card set of 10, this beautiful hand stamped Christmas Nativity card is the perfect card to give to family and friends this holiday season. Card measures 5" x 7" and comes with envelope. Folksy :: Buy "Reindeer Personalised Christmas Card." Little Dog has Christmas Makeover!